Follonica is a lively, modern city with plenty of shops, a cool pine grove and beautiful, well-equipped beaches where sustainably managed beach establishments offer complete facilities and clean water (awarded a Blue Flag and 4 Sails by Legambiente and Touring Club in 2014). The new Magma Museum is a magic box in which centuries-old walls enclose modern multimedia technologies. A voyage of discovery of the cradle of the Italian steel industry, in an extraordinary monument of industrial archaeology (the old Forno San Ferdinando) illustrating the process of casting cast iron and local history with spectacular interactive exhibits. 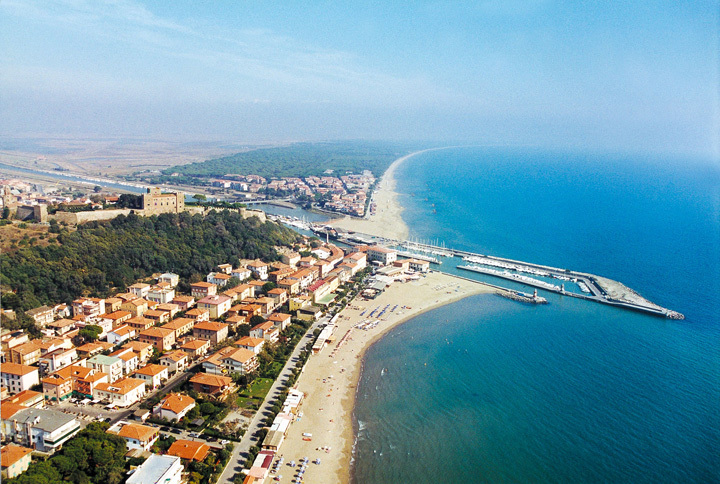 In 2014 the ancient fishing village of Castiglione della Pescaia became the first town in Italy to be awarded 5 sails in the Blue Guide published by Legambiente and the Touring Club and a Blue Flag for the environmental quality of its beaches, its facilities for tourism and its sustainable management of the marine and coastal environment. The area has some of Italy’s cleanest water, perfect for a break at one of the many beach establishments in the town or at Punta Ala, on the rocks of Rocchette or at Punta Capezzolo. 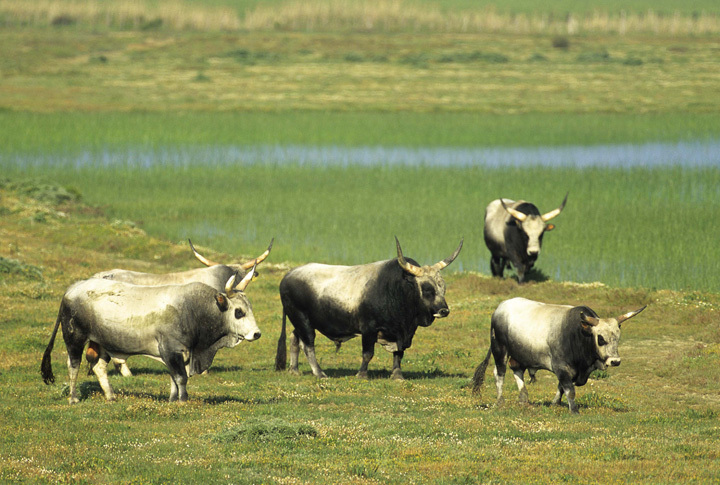 A protected nature reserve characterised by marshes of the type that once covered part of the former Lake Prile. Wetlands of international importance as the stopping point, winter habit and nesting grounds of numerous water birds, the area can be toured on a little boat, offering an opportunity to enjoy the uncontaminated landscape and luxuriant wilderness. This is the Maremma of the marshlands, where visitors can photograph wild ducks, flamingoes, white herons, cranes, osprey and black-winged stilts. Casa Rossa, in its imposing original building constructed in the 18th century by Leonardo Ximenes over navigable canals, is now an interesting interactive multimedia museum. Don’t miss the “sensitive carpet”, a fun and educational experience for adults and children alike, or the view from the terrace of Casa Rossa Ximenes, fascinating at any time of year. Vetulonia, now part of the municipality of Castiglione della Pescaia, was at one time one of the most powerful city-states in Etruria. On the hills around the town visitors walk in the footsteps of the Etruscans, to the monumental tombs of Pietrera and Diavolino and the evocative necropolis of ancient Vatluna. Isidoro Falchi Archaeological Museum is a real treasure chest illustrating Etruscan history from its origins (in the 9th century B.C.) to the Roman conquest (in the 3rd to 1st centuries B.C.) through artefacts of gold, amber, bronze and ceramic found in the princely tombs. The museum offers a pleasant way of experiencing Etruscan history and culture, even for the disabled and the blind, as it is wheelchair accessible and features tactile maps, audio guides and authentic artefacts that can be touched. Located in Bandite di Scarlino Nature Reserve, Cala Violina has been named one of Italy’s most beautiful beaches. Walking barefoot on its ultra-fine white sand produces a sound like that of a violin – hence the name. It can be reached on foot, horseback or bicycle after parking in the small parking lot (ask for information at our farmhouse). A spectacular bay surrounded by Mediterranean scrub, it is the perfect place for a refreshing swim in the crystal-clear water. 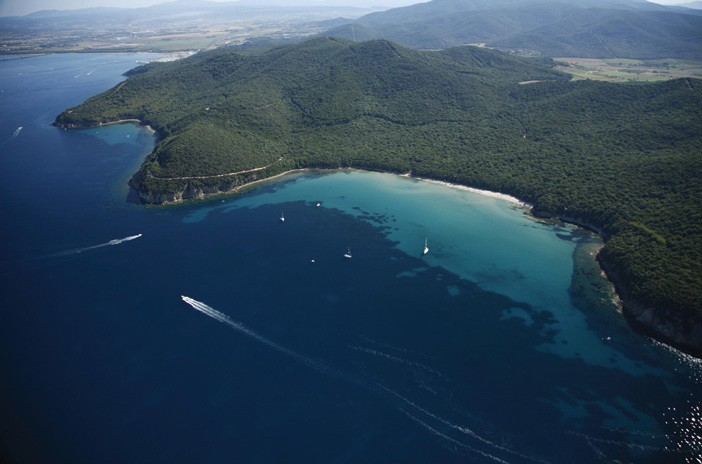 Between Talamone and the mouth of the Ombrone River lies this important protected area preserving a vast stretch of Mediterranean scrub and wetlands. Numerous itineraries are available for visitors on foot, in horse-drawn carriages, in canoes, on horseback or on mountain bikes, including one leading to the towers on the Uccellina Mountains, built near the coast to spot pirate ships. Another path leads to the ruins of San Rabano Abbey, amidst the silence of the woods. 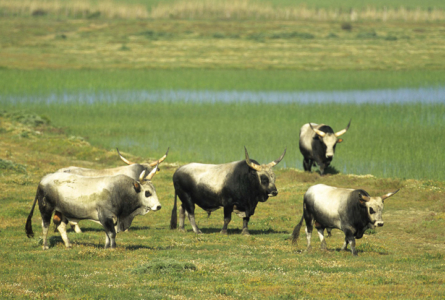 Here you are quite likely to encounter deer, wild boar, long-horned Maremma cattle, herons, roe deer, falcons, foxes and Maremma horses. Parco dell’Uccellina may not be Paradise – but it’s hard to tell the difference!